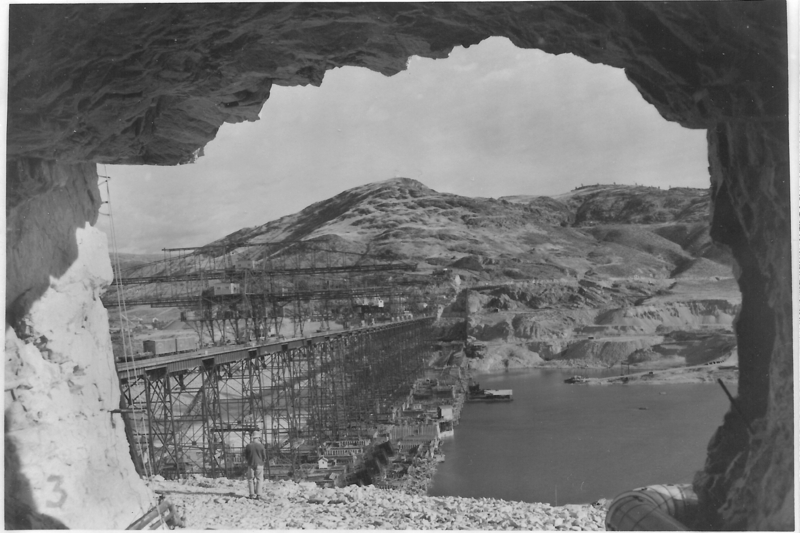 This unique 1939 view is courtesy of one of the holes drilled into the west hillside for the discharge pipes used to carry water to what will become Banks Lake. This view shows the back or upstream side of the dam. Note the Northern Pacific boxcars on the construction trestle traveling across what will become the face of the dam. At the far end of the dam note the notch in the hillside, that will match the profile of the completed dam.